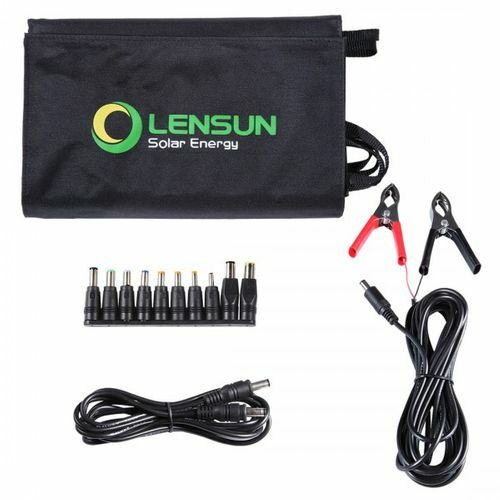 Lensun 60W Outdoor Capable of Charging Your Android, IPhones, IPad and Other 5V Devices, Laptops, Tablets, Kindles, Speakers, Electric Bikes and Chargers Via USB and DC Outputs. 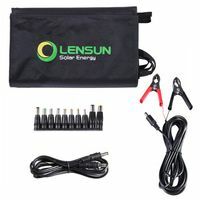 Great For Travelers and Bloggers. 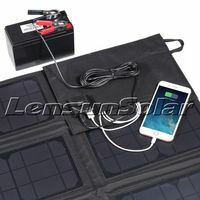 Connect Items Directly To The Panels or Connect to A Battery To Store Your Solar Energy To Utilize Electric Power When There Is No Sun. 1. 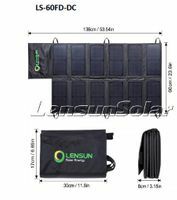 Fold-up to compact size self contained bag 30 x 19 x10cm, only 1/2 of normal aluminum frame folding panels. 2. 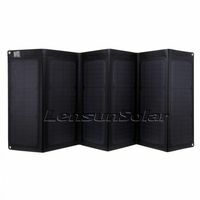 No frames or glass, Durable, Ultra-lightweight, Only 2.4kgs, only 1/5 of normal aluminium frame folding solar panels. 4. 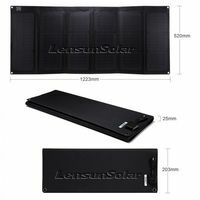 Portable folding solar panel kits aren't new, but the performance and design of these off-the-grid power solutions is continually improving. 5. 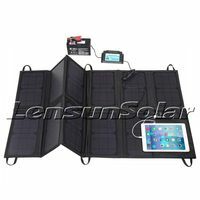 Folding Solar Panel with junction box for DC battery charger and USB devices charge.